The excursion was excellent and the students’ feedback was really positive. The whole experience was fantastic and I will definitely recommend your tours to other schools and teachers. Thank you for all the information and organisation that you sent prior to the day…much appreciated. I look forward to our next walking tour! Just wanted to thank you and your guides for a really enjoyable and informative day. We all enjoyed our historical walk and talks. Thank you for your excellent and prompt communication throughout the entire process from our initial first contact until the completion of the day. We will have no hesitation in recommending Sydney Walks to our fellow colleagues and partner schools. Whether you were an Aborigine, a convict, free settler or officer, life in early colonial Sydney was agonising and frightening. Students will experience the different lives of early settlers as they each become a character from this time. This experience is a must if you’re a history lover and want to know more about the early settlement and development of Sydney. Rob puts on a great tour, all the while being super friendly and accommodating. The route is fascinating, easy to walk, and full of history around every corner. Sydney is rich in history and heritage, and a guided tour of The Rocks is simply the best way to experience it! Hear tales of convicts, crime and punishment. Walk the old laneways and explore the preserved sites where over 200 years ago it all happened. 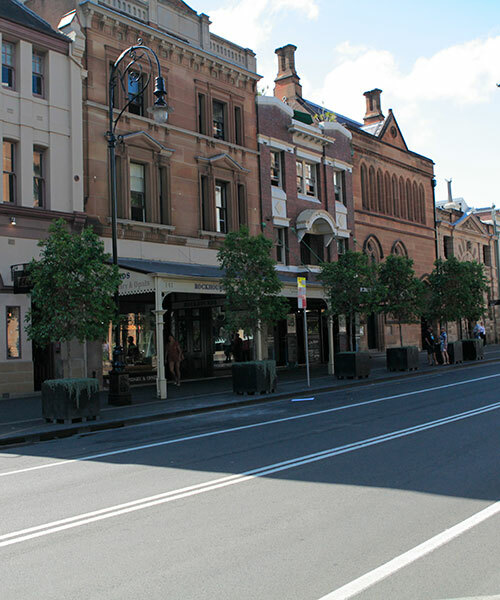 Discover the history of Sydney with one of our historical walking tours. Our guides will take you on a journey through time as you visit historic sites connected to the first European settlement in Australia. Consider the original Aboriginal inhabitants of the Sydney area, and learn how the earliest contact with the Europeans was often fierce but sometimes friendly. Hear factual and insightful accounts of Sydney through its centuries from our expert local Sydney guides. 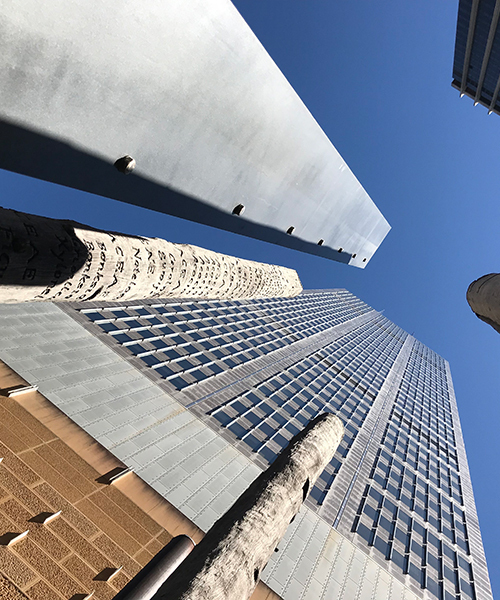 As well as exploring Sydney’s architecture from the street, we also take a look behind the scenes with our unique Construction Tours, where we visit Sydney’s iconic buildings as they are transformed, re-purposed or refurbished. Our Construction Tours discuss the history of the sites, the architects, and their vision and inspiration behind the designs. Explore building sites, view plans and designs, and discuss the challenges encountered. 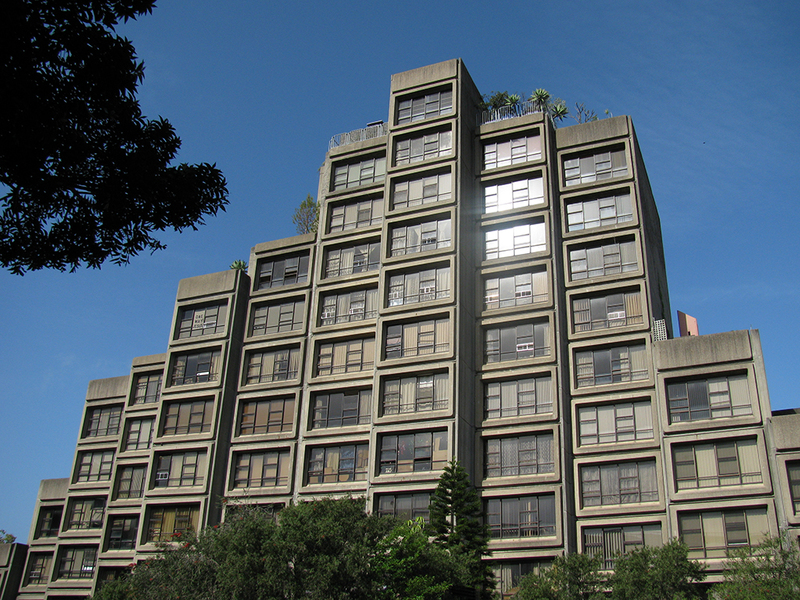 If you have any interest in architecture, building and construction, then this is a must-do activity in Sydney. Bring your students on an educational school excursion to The Rocks in Sydney, where they will discover first hand what life was like in Colonial Sydney. Visit the actual place where the First Fleet arrived over 200 years ago, and learn about the consequences of colonisation for both the Cadigal people and the newcomers. Our historical walks have been developed for stage 2 students in year 3 and year 4 studying HSIE History, First Contacts and Community and Remembrance content areas. 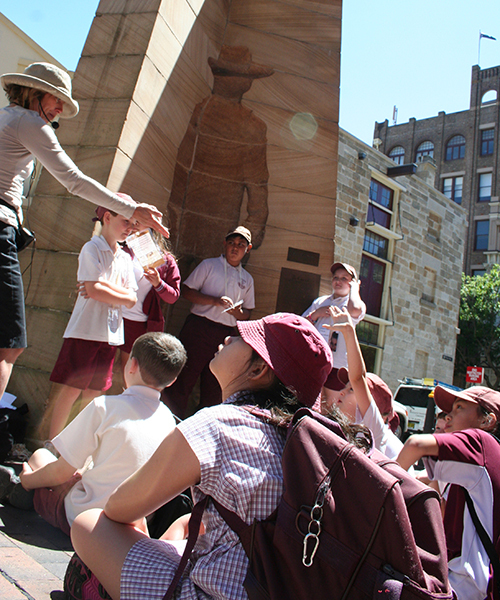 Sydney Walks specialises in educational walking tours for Primary School students. Our walks are curriculum linked, and provide context and authenticity to complement the students’ classroom activities. We have tailored several historical walks specifically for school excursions in Sydney, which have been developed for stage 3 students in year 5 and year 6 studying HSIE History, The Australian Colonies and Australia as a Nation content areas.